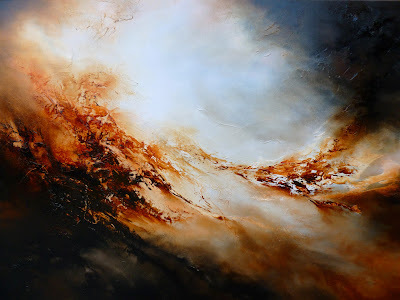 Abstract Paintings by Artist Simon Kenny: Abstract Painting by Simon Kenny. 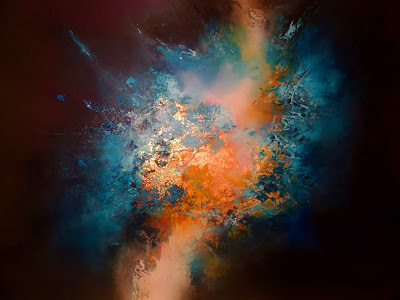 Abstract Painting by Simon Kenny. 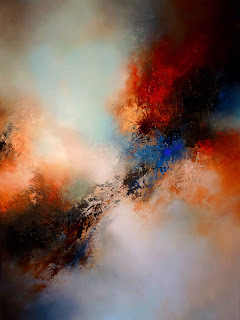 It's that time of year again where I run my Spring sale selling a large number of my abstract paintings at up to 50% off the ticket price. Forge: Oil on canvas 48 x 36"
I am also offering giclee prints of all my abstract paintings which are avialable in a range of sizes and prices to suit most budgets. The prints are on high quality Albrecht Durer paper which imparts both a classical and modern feel to art reproductions and photographs. The age resistant mould-made quality with 50% rag content provides the look and feel that artists have come to appreciate with traditional artist’s papers. The prints are supplied with a 25mm white board allowing for mounting and framing and they are shipped safely rolled in secure toughened cardboard tubes. Lead times are 4-5 working days and shipping is with UPS. Please feel free to email me at simonkenny@eskayfineart.co.uk should you be interested in ordering a giclee print of any of my abstract paintings found on my web site and I'll get back to you within 24hours with a full quotation.